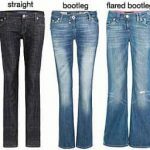 At ilovejeans.com we truly believe that everyone can wear great fitting jeans whatever your shape or size. The reality is keeping true to your body shape rather than the latest denim trend or brand. You maybe able to have it all, however keep an open mind! Follow our advice and your shopping nightmare will become an absolute pleasure – and you’ll end up with the jeans you’ve been searching for all your life. #1. 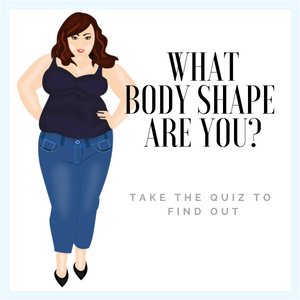 What’s your body shape? When searching for jeans the goal is getting a great fit. Knowing your body shape is key and will determine which style of leg will suit your shape. This is the foundation for great fitting jeans. Everything else follows on from here. #2. Choose a leg style that will suit your body shape. Now you know your body shape use the guide below for your correct leg shape. This is all about proportions and giving balance to your body shape. Apple –straight leg, skinny – (not too skinny), crop, baby boot. Curvy – Hourglass/ pear: boot cut, straight leg, wide leg, flare leg, boyfriend, crop skinny. 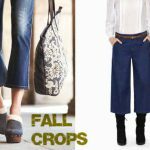 Fuller figure – boot cut, wide leg, straight, skinny. Long & Leggy – lucky you, you’re able to wear all leg shapes! The “rise”of a jean is determined by the distance between the crotch and the waist. Knowing which body type you are will be your guide to the correct rise for you. Low Rise – Long & Leggy and Petite can carry off a low-rise jean well. Low rise measures 7.5″ or under. The waistband usually sits two ore more inches lower than the navel. Mid Rise – Pear shape, hourglass, fuller figure, long & leggy and apple can wear a mid rise jean. Mid rise measures 8″ to 9″ The waistband sits just below the navel. High Rise- Pear shape, hourglass and long & leggy can carry of the higher rise look. High rise measures 9.5″ to as high as 12″. The waistband sits either on or above the navel. Top Tip: If you have a favorite pair of jeans and want the same rise again, lay the jean flat and measure from the crotch seam to the top of the waistband to get the measurement. Click here for how to measure your unique rise. The waistband is always an important factor when shopping for your shape. Most pear shape and hourglass women have a terrible time with getting jeans to fit around the hips, so they go up a size and end up with a gape at the back of the waist. Here are three ways to get round the gape. Go for wider waistband which sits on your hips with a higher back rise. A higher waisted jean will solve the gape problem and will give a streamline silhouette to your shape. Try these figure fixing jeans specifically created for women who have a smaller middle versus a bigger hip and thigh area. Levis offer the 800 Curvy Series which they say are the best jeans for curvy women, cut for killer curves! PZI Jeans have been endorsed by Oprah Winfrey’s O Mag as they specialise in making jeans with no gape and more room on the leg and bottom. Last but not least Wizard Jeans, The unique Wizard (c) bonding technology works in the same way that many years ago a ‘roll-on’ used to – it holds you in, lifts you up but with maximum comfort and effect. Always take a selection of shoes with different heels to determine when you will wear your new jeans. Heels elongate the leg and gives confidence when wearing great fitting jeans. Depending on the brand of jean they may have a selection of leg lengths. Choose you’re nearest length. Don’t rule out a style just on leg length as it maybe a great fit and easy to shorten. If you’re going to the trouble of having a pair of jeans shortened then ask for an original hem. #6. Want to keep the Original Hem? Stateside it’s called a “tricky hem” or a European hem”. In the UK we call it the “American” hem. It’s a way of shortening ones jeans and keeping the original hem intact by re-attaching it after shortening. It’s a great way to keep the original look of the jean if the bottoms are faded or frayed. This can be an expensive alteration, as it takes longer than standard hemming. Approx £15 to £25. This can be tricky, as most denim brands tend to work to their own sizing. Jeans from the US tend to work on vanity sizing to make the customer feels great about buying a smaller size. If you’re trying on jeans in a boutique or department store be sure to ask the sales assistant if the brand runs true to size. Try on the same style in two sizes to check the fit. Try on both sizes of your chosen style and see which fits better. By checking the Lycra content on the label inside the jean you will get a good idea if the jean will stretch when worn. (A higher Lycra content will stretch at least one size bigger, so take the smaller size). Nothing is worse than parting with your hard earned cash on a jean that goes baggy after one wear! So it’s important to move around the fitting room and do some denim aerobics to ensure a close fit. Always sit down in the jeans to make sure the back rise doesn’t reveal too much. If both sizes of your chosen jeans don’t fit well, the style may not suit your body shape. Often we blame our size when the answer could be ‘It’s just the wrong style for my shape’. Ilovejeans.com was created in 2006 to take the hassle out of buying jeans as the first denim portal of it’s kind. Soon after we decided to stock jeans and offered a tailored denim consultation for clients to come, try and purchase the jeans we were selling online. 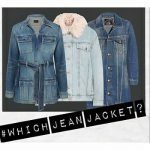 Today ilovejeans is still guiding women and men of all sizes to the best jeans on this blog and offer a denim stylist service, so we know where to find those jeans ! 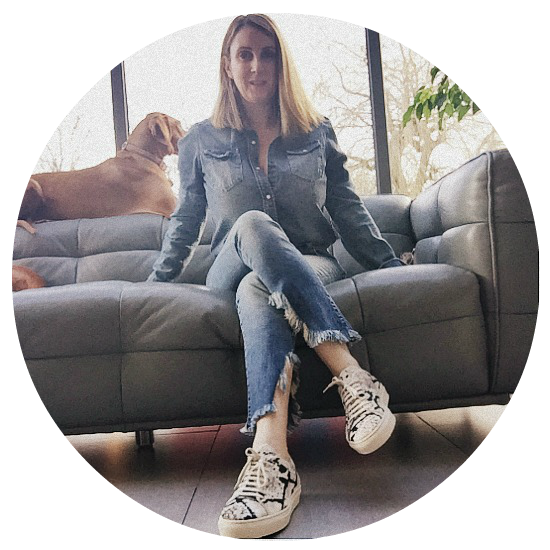 Buying jeans online has never been easier as e-tailers such as NET-A-PORTER , ShopBop and Matches have created specialist denim area’s to give much needed help to make a successful denim purchase. Stylists are on hand via email or by phone to answer your denim dilemma. 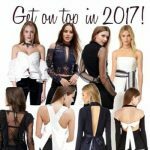 Specialist denim boutiques Donna Ida and Trilogy have between them a string of stores but still offer an online presence. If you’re purchasing jeans online a good e-tailer will give size & fit notes of the style so you will know if the jean is true to size or to go down a size ect. If unsure call or email the e-tailer and ask! #10. Where to buy jeans? As a stylist & denim expert I recommend the following stores in London for the pure reason that they understand the needs of different body shapes and have a great knowledge of the brands they are selling. Liberty Denim Room, Selfridges Denim Studio, Donna Ida and Trilogy . 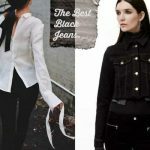 At ilovejeans.com we are here to help you with your denim dilemmas so feel free to drop us an email and we will send you our recommendation. Be sure to give your body shape & size! Happy shopping for your shape! THE TEN COMMANDENTS FOR SHOPPING FOR PERFECT JEANS. Vogue’s Fashion Night In – Your invitations arrived! « THE ICONIC HOULIHAN BY J BRAND IS BACK!